Rev. David Hughes was born and raised in Glens Falls, NY, approximately 50 miles north of Albany. From there, he attended Williams College in Williamstown, MA, where he received a Bachelor of Arts in history in 1975. After graduation, he moved to Andover Newton Theological School, earning a Master of Divinity degree in 1978. While at seminary, he was a Field Education student in the First Congregational Church of Fairhaven, MA, and First Congregational Church in Melrose, MA. At the second, he shared youth group responsibilities with Deborah Fellows; their relationship grew, and they were married on November 11, 1978 (they shared their 40th wedding anniversary with us on Sunday, November 11!) They have two children, Miranda, who is a Marriage and Family therapist in CT, and Adam, who works with the Cornell Cooperative Extension of Cornell University in Ithaca, NY. 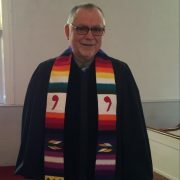 He has served churches in Medford, MA, New Fairfield, CT, Springfield, MA, Winchester, NH, and Brookfield, MA. Over the years, He has been committed to leading Biblically-based worship following the Revised Common Lectionary, a three- year cycle of scriptures which guide the church through passages that are essential for our faith. He feels that visitation and pastoral care are crucially important elements of an effective ministry, and he believes that it is essential for the pastor to be involved in the community that surrounds the local church. Greg is a Fellow of the Ucross Foundation whose mission is to foster fresh and innovative thinking in the visual arts, literature and music by providing residencies, work space, and uninterrupted time to individual artists, writers and composers. 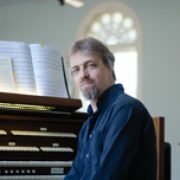 Greg has composed nearly 40 works for varied ensembles. His recordings and works have been reviewed in the New Music Connoisseur, the New York Times, The American Record Guide, and MusicWeb International as well as the Portland Press/Herald. Greg performs live (streaming) compositional improvisations two to four times weekly in the online virtual world Second Life and in a variety of real world venues in Maine. 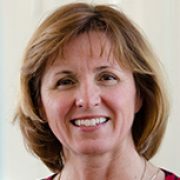 YSOC (Youth Singers of Christ) is directed by Dianne Chadbourne, who has been directing choruses and choirs for over 10 years.